Short Questions Spending Priorities; Should Other Needs Be First? 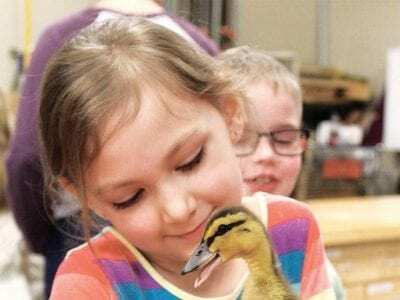 Izzabella Short, a Pettisville third grader, holds a duckling during the annual Baby Animal Day held by the Pettisville FFA chapter, Friday, March 29. On hand were animals ranging from a small l… Sorry! This content is only available to paid subscribers at this time. Please login below, or consider purchasing a subscription today! Archbold Village Council approved spending $100,000 to upgrade the Defiance Street Norfolk Southern railroad crossing at its Monday, April 1 meeting. NS had planned to replace the rails of the two mai… Sorry! This content is only available to paid subscribers at this time. Please login below, or consider purchasing a subscription today! Archbold: Saturday, April 13, 9 am. Children should gather at the Ruihley Park Pavilion. 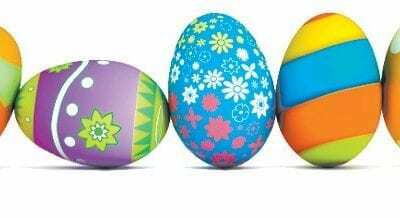 Pettisville: Saturday, April 20, starting at 10 am with two- and three-year-olds. Progressively older age… Sorry! This content is only available to paid subscribers at this time. Please login below, or consider purchasing a subscription today! 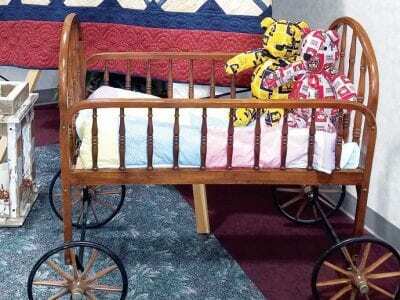 This baby bed on wheels is making a second appearance on the block at the Fairlawn Haven Auxiliary Auction. The first time, in 1971, it sold for $100. What will it bring the second time around? Decad… Sorry! This content is only available to paid subscribers at this time. Please login below, or consider purchasing a subscription today! 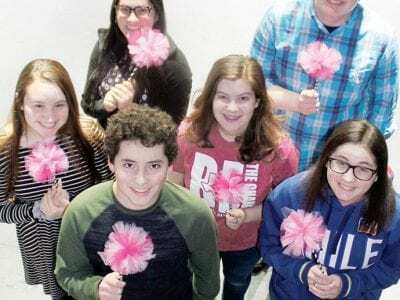 Members of the cast of the Archbold High School musical, “Seussical.” Front: William Nofziger, a sophomore. Middle row, from left: Gabby Cox, a senior; Erin Reichert and Kate Nofziger, so… Sorry! This content is only available to paid subscribers at this time. Please login below, or consider purchasing a subscription today! 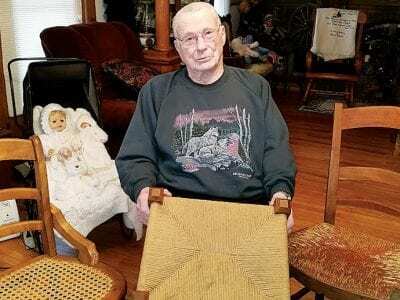 David Sauder, Pettisville, with some of the chairs he’s woven seats for using rattan, a natural fiber imported from Vietnam. Chair caning is a skill that has been passed down in Sauder’s … Sorry! This content is only available to paid subscribers at this time. Please login below, or consider purchasing a subscription today! Update: A video of the crash was posted on our Facebook page by Rachel Buehrer. Visit https://www.facebook.com/Triple6Outdoor/videos/vb.404165012931865/1019186888287402/?type=2&theater… Sorry! This content is only available to paid subscribers at this time. Please login below, or consider purchasing a subscription today! The operators for the Rover underground natural gas pipeline have paid $692,256.29 in taxes to the Archbold School District and $495,543.49 to the Pettisville School District. That information, which… Sorry! This content is only available to paid subscribers at this time. Please login below, or consider purchasing a subscription today! 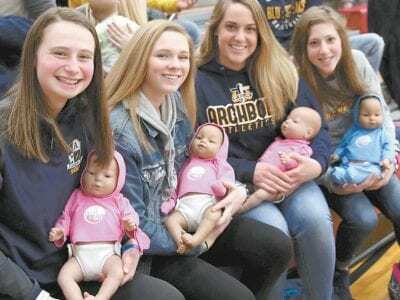 AHS seniors Kate Short, Kennedy Miller, Andi Peterson, Gabby Nafziger, from left, hold their infant simulators during the AHS boys basketball district semifinal game, Thursday, March 7.– photo … Sorry! This content is only available to paid subscribers at this time. Please login below, or consider purchasing a subscription today!